WordPress.org Introduces ‘Make-Meta’ and Theme/Plugins Reviews! 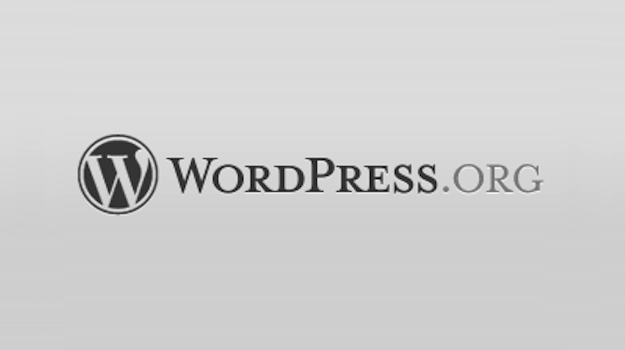 WordPress.org is an invaluable resource for WordPress users. It’s where you will find the latest release news, the extensive Codex, and of course tens of thousands of free themes and plugins. However, it is not perfect. We have discussed WordPress.org’s shortcomings in the past here on the ManageWP blog, the post on improving the plugins repository being one obvious example. And that is why I am especially excited to announce a new initiative spearheaded by none other than Samuel Wood (aka Otto). This is where we plan on talking about changes to the WordPress.org site, as well soliciting feedback for feature ideas. Consider it a community site; we don’t always know what the best way to make the website work is, so feedback is not just welcome, but encouraged. Sounds great, right? And as to not disappoint, the launch of Make-Meta coincided with a major (and perhaps controversial) new addition to the themes and plugins repository. Theme and plugin ratings have been a bone of contention amongst developers ever since they were introduced. Whether it’s a number of unreasonable one star ratings negatively affecting a plugin’s average rating or a low number of positive ratings making a theme look better than a far more established alternative, the system isn’t perfect. With that in mind, many people will welcome the introductions of reviews to WordPress.org. One thing’s for sure — they’re not being introduced as a half measure. Effective immediately, reviews will be directly tied to ratings and vice versa — you cannot submit one without the other. 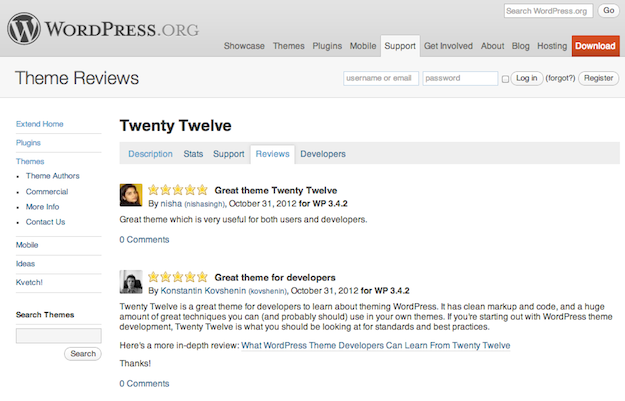 The new reviews system in action on WordPress.org. I like this idea in theory. It should drastically reduce the occurrence of arbitrary and thoughtless ratings, which could in turn provide us with a far more accurate representation of a theme or plugin’s quality. But on the flip side, the ratio of ratings to downloads is already very low — the introduction of mandatory reviews will only serve to decrease that ratio even further. In his introductory post on Make-Meta, Otto is keen to point out that what we see now is only the first iteration of the new review system. We are likely to see a lot of amendments and improvements in the near future. My main concern is that we cannot alter people’s behavior — a review system adds another layer of complication for people who want to voice their opinion, which can only result in less input. If however the reduced input is of a higher quality, one could consider the new system a success. Hopefully nothing too rash will be done, as the new system is largely unproven, and I feel that the jury is out as to whether or not it will be widely utilized. I’m sure that everyone will agree that the introduction of Make-Meta is a good thing. The community’s greater involvement in the ongoing development of WordPress.org seems like a positive move from every angle. However, the new reviews system is perhaps more open to debate. What are your thoughts on it? Given that it is essentially a whole new means of rating themes and plugins (with ratings alone now being a thing of the past), do you think it can bear the responsibility? Let us know in the comments section! Next blogpost:Attend WordCamp Raleigh 2012 This Weekend! For my second vote today, I’ll +1 for required feedback. Empty stars are useless. Perhaps they can email all users who have submitted feedback a link to a page that would pull all ratings they left with the option to revise and fill out a review for each. Any not completed would drop off, say, after 3 months or so. This would be a helpful page to have as a link in your profile, either privately or publicly, as your opinion and review depth may change for a given plugin over time. More feedback opens the door for better quality. So, great idea! This is a really good idea because devs will get more feedback. Also if someone gives a 1 star rating the developer will be able to contact the user and help him.